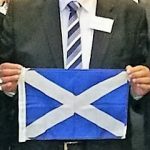 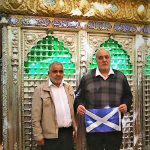 The Flag of Peace, Unity & Hope: Story of The Saltire.. 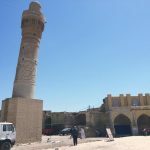 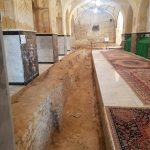 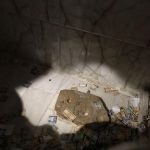 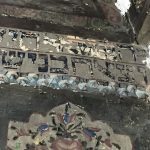 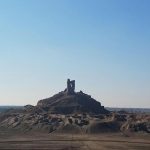 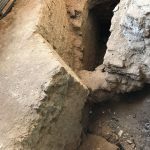 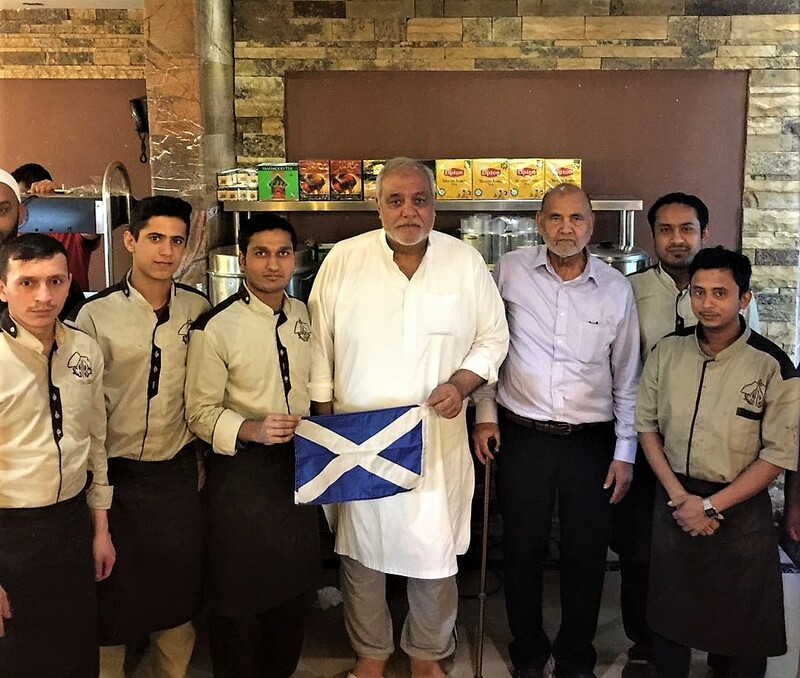 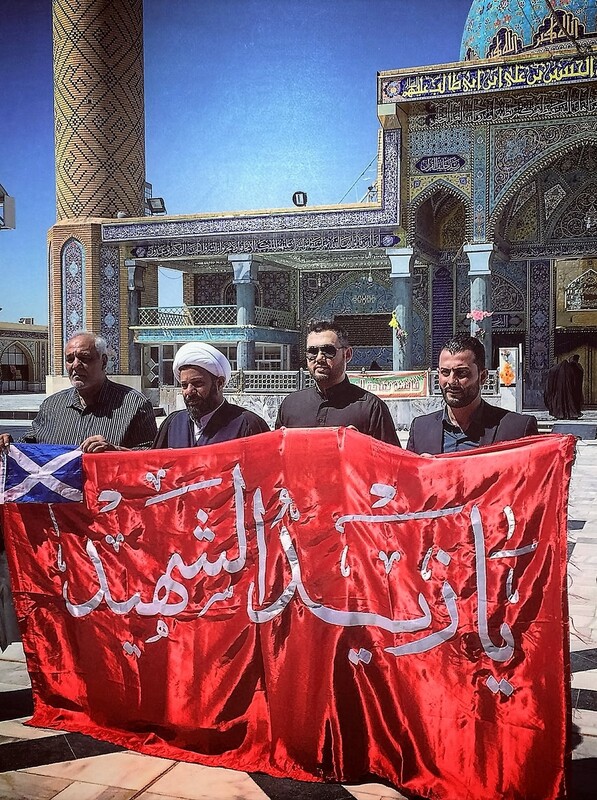 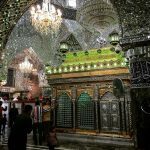 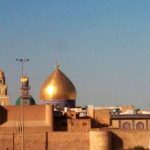 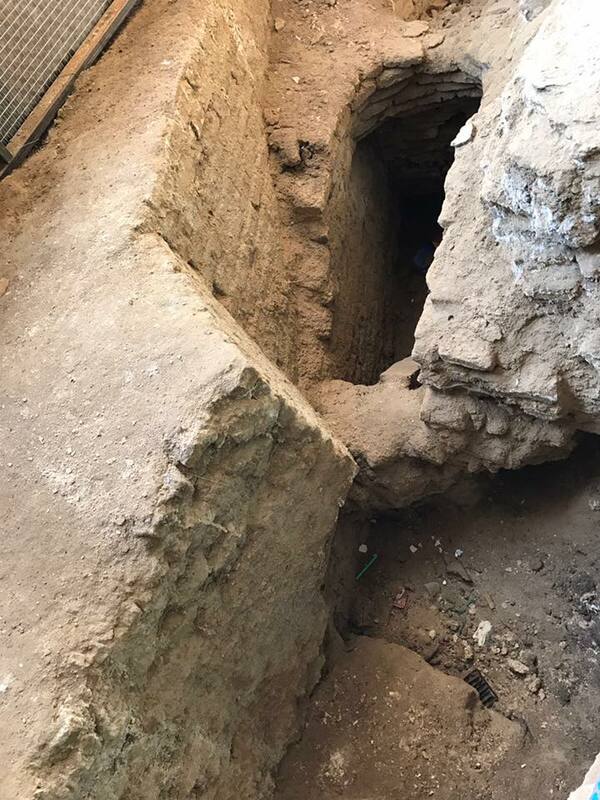 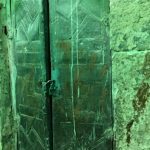 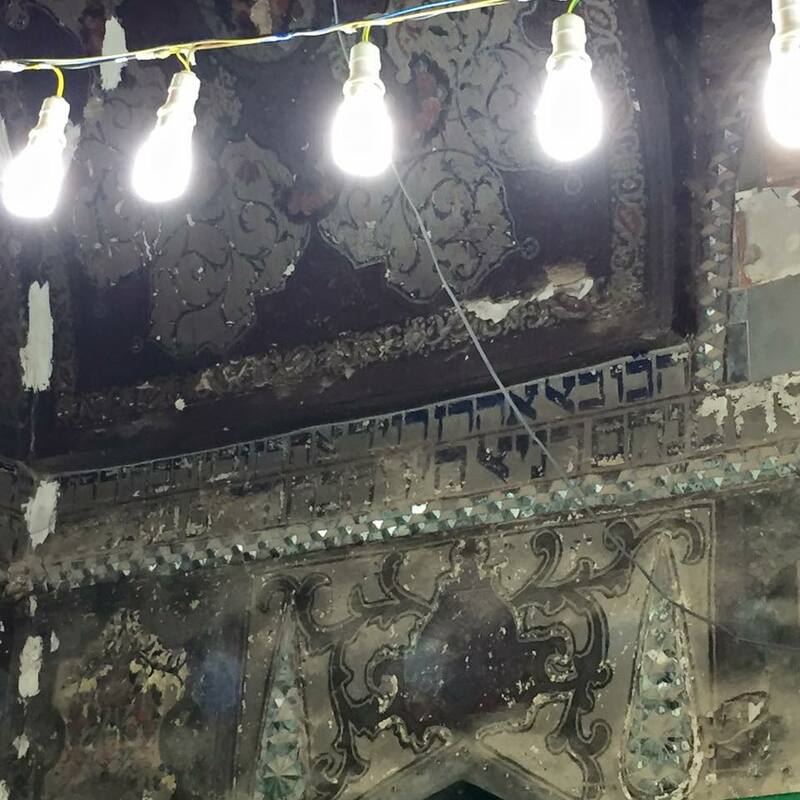 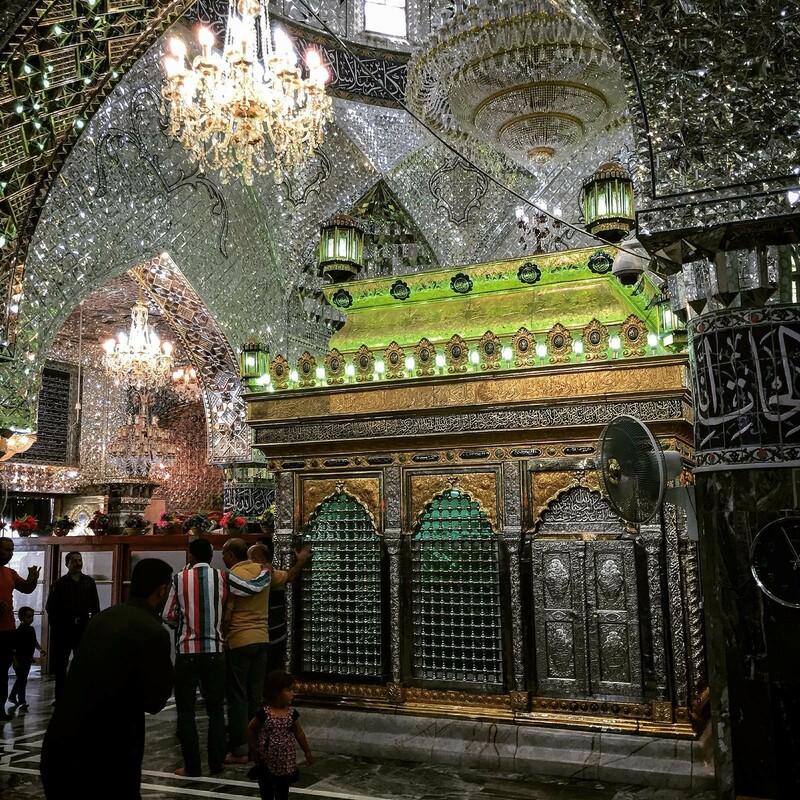 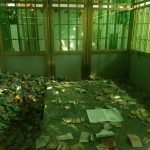 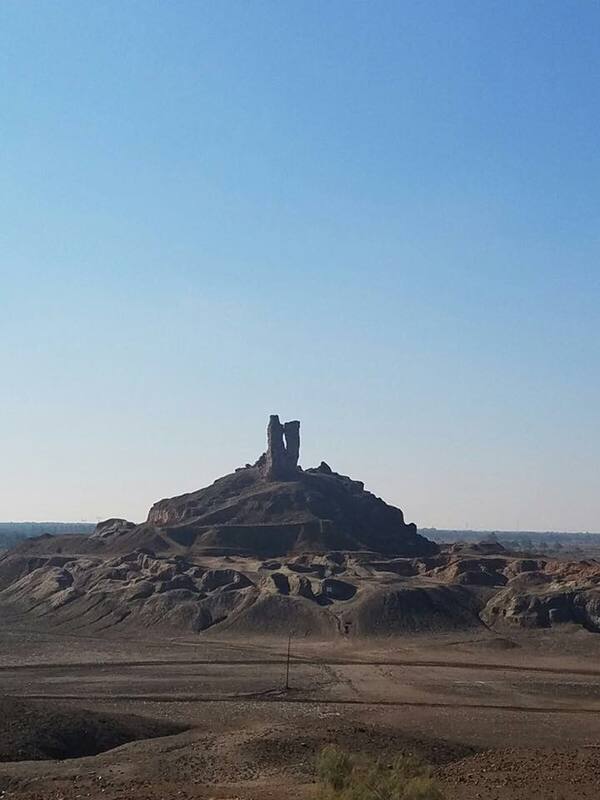 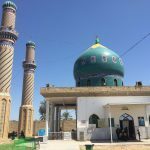 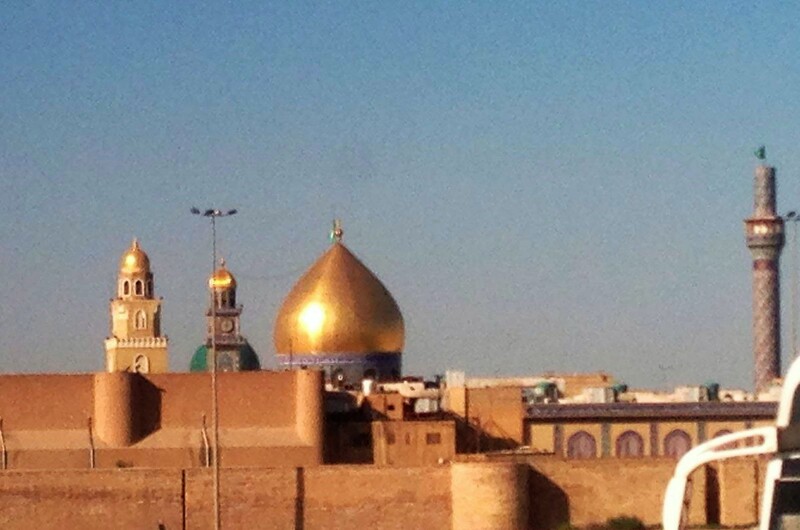 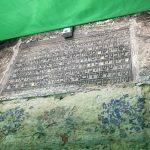 The Scottish Ahlul Bayt Society were blessed to undertake a historic pilgrimage to the Sacred Lands in Iraq, and visited the graves of Imam Ali, Imam Hussain, and other Holy Imams from the Family of the Prophet Muhammad, other Noble Family Members, and Companions. 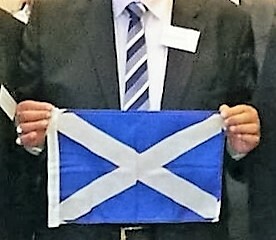 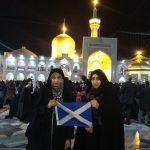 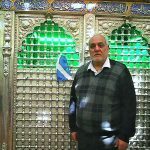 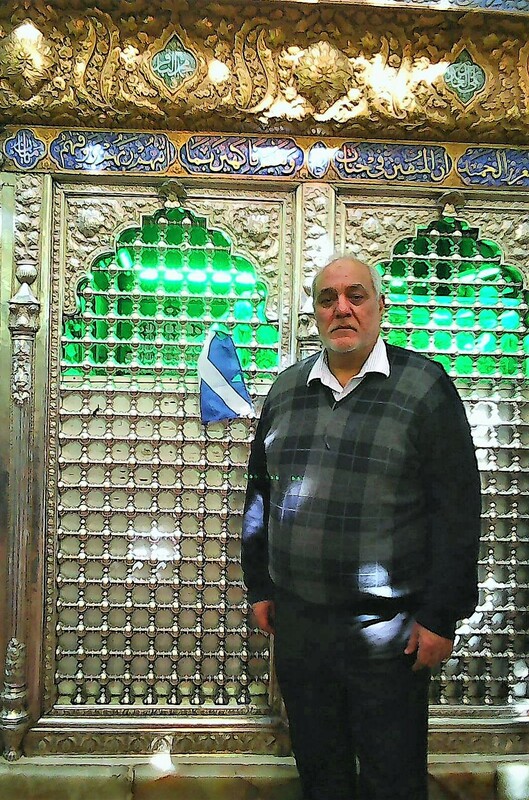 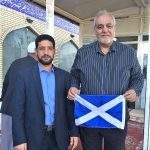 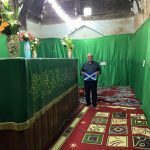 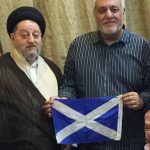 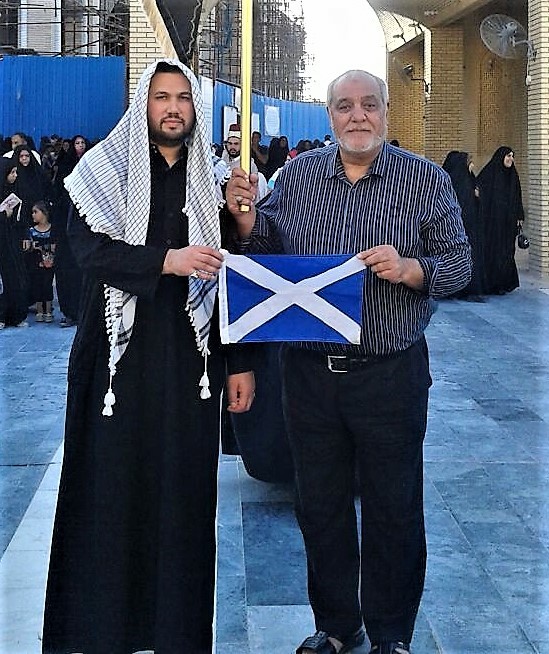 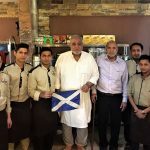 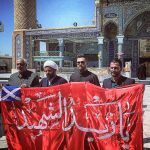 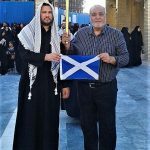 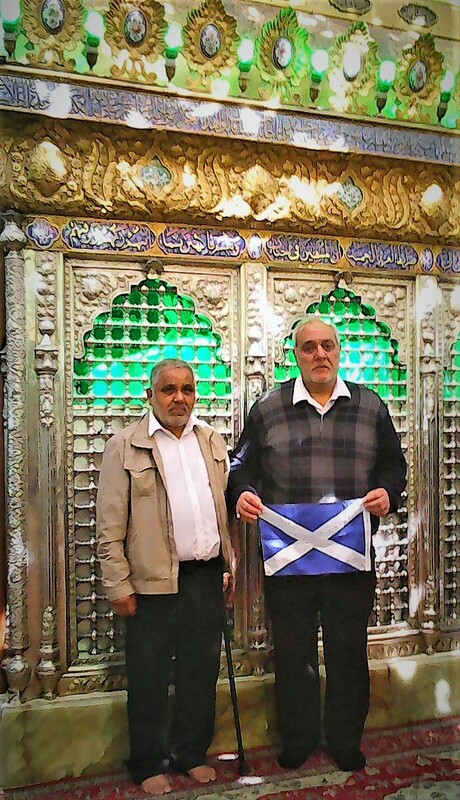 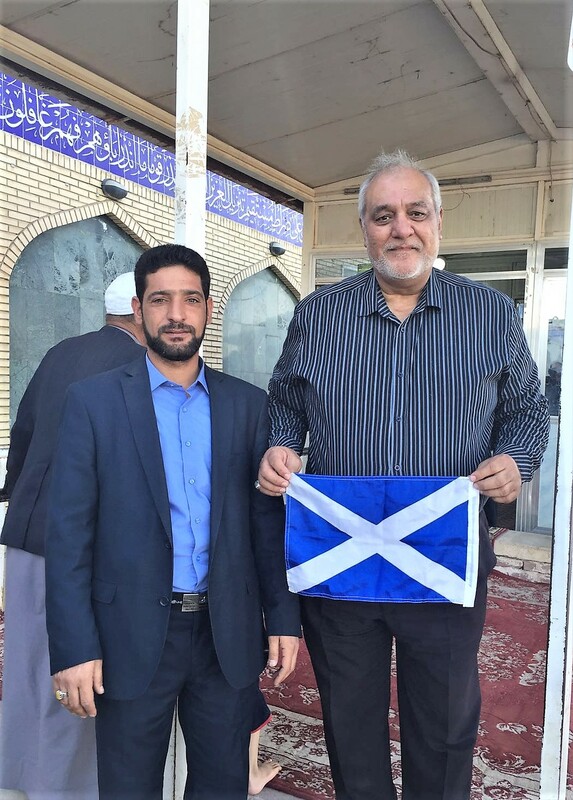 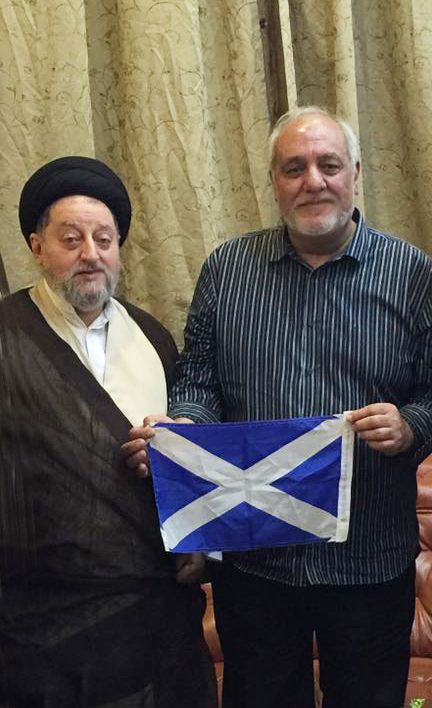 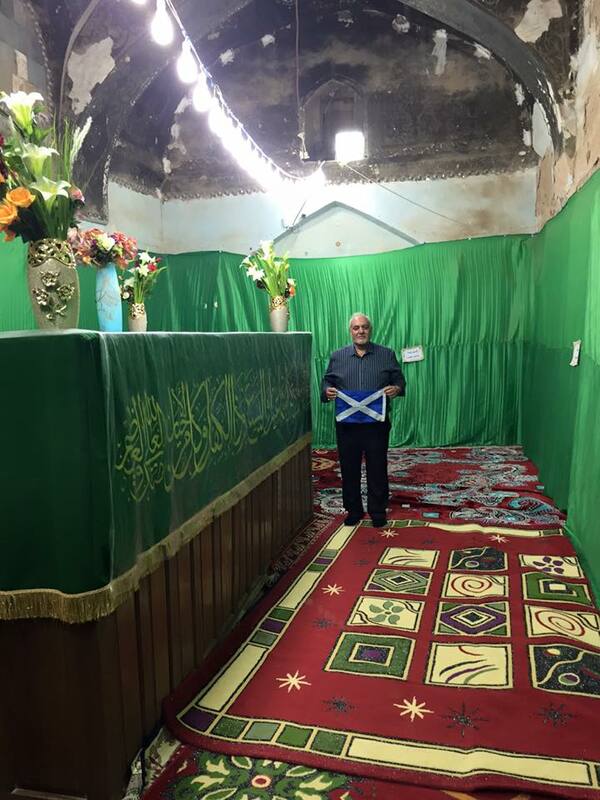 Along with us we took the Saltire which was blessed by our religious leaders (the Marja – Grand Ayatollah’s). 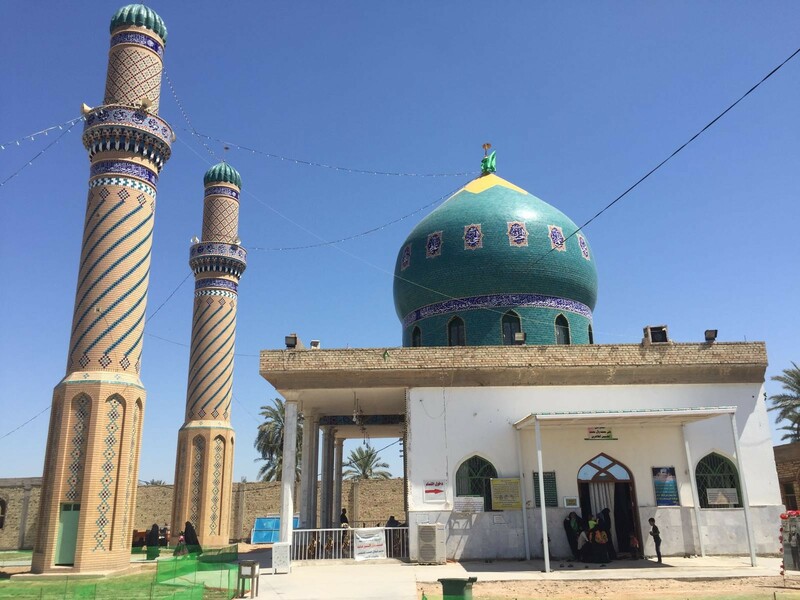 We underwent expeditions and fact-finding visitations to appreciate the importance and need for the cultural protection of ancient heritage sites, and so were privileged to have had the opportunity to see ancient, shared Judeo-Islamic locations in Babylon marking, among other things, the graves of the biblical Prophets Job and Ezekiel (Peace and Blessings be Upon them All). 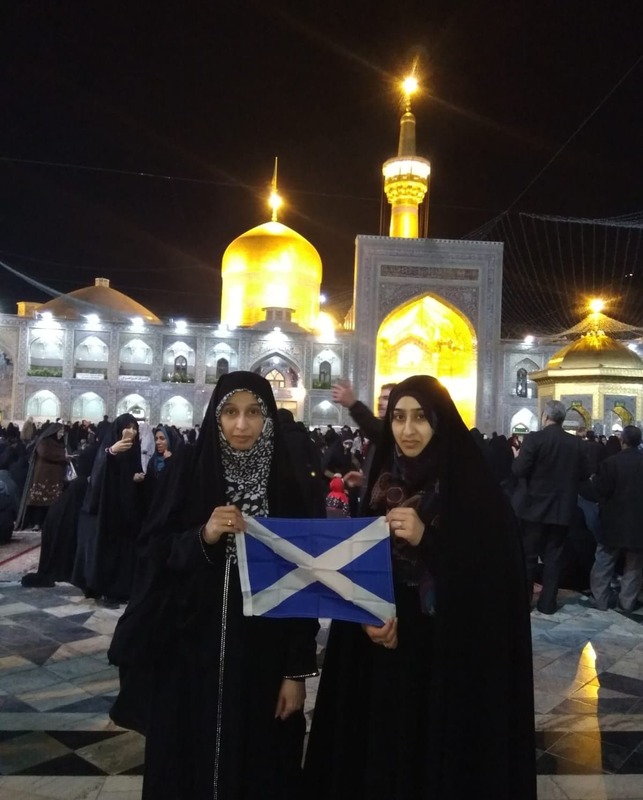 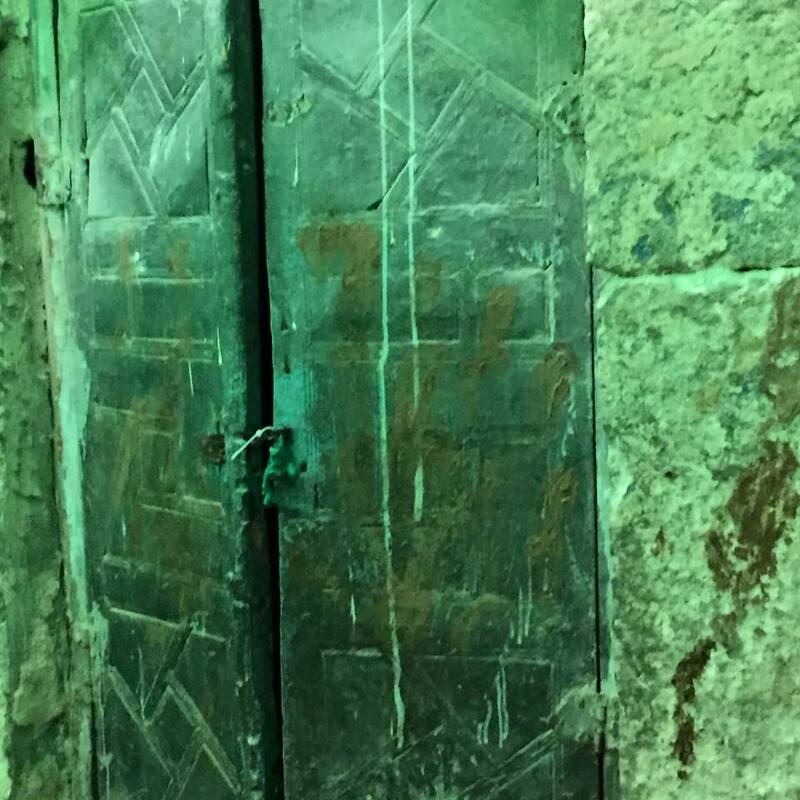 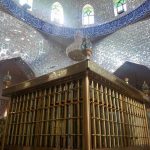 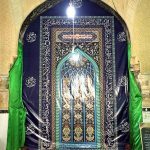 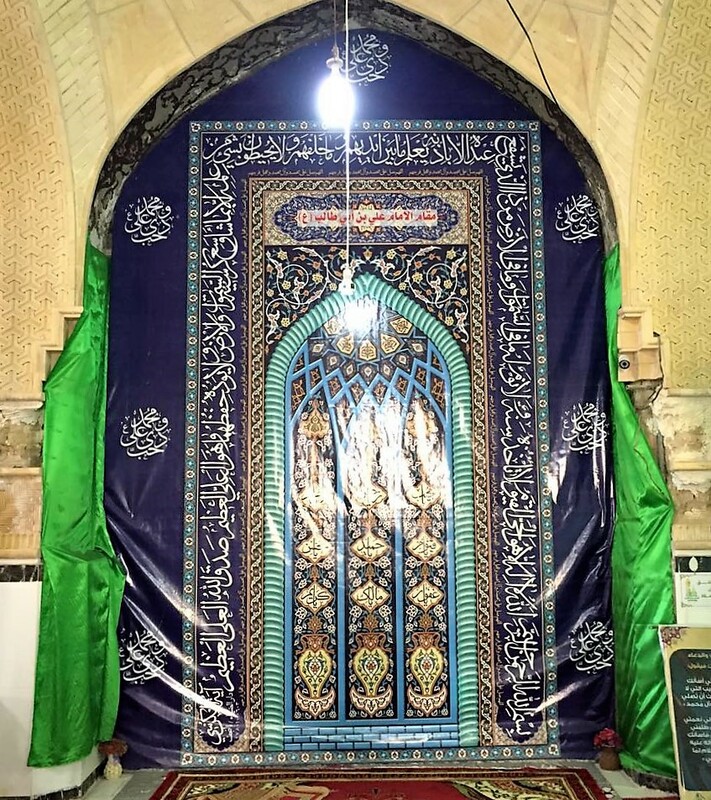 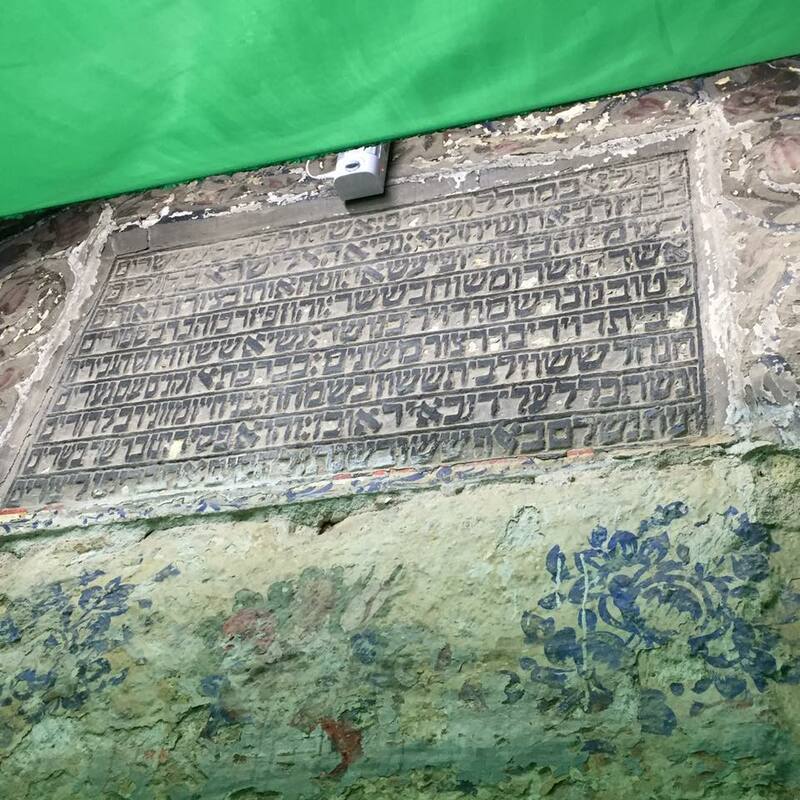 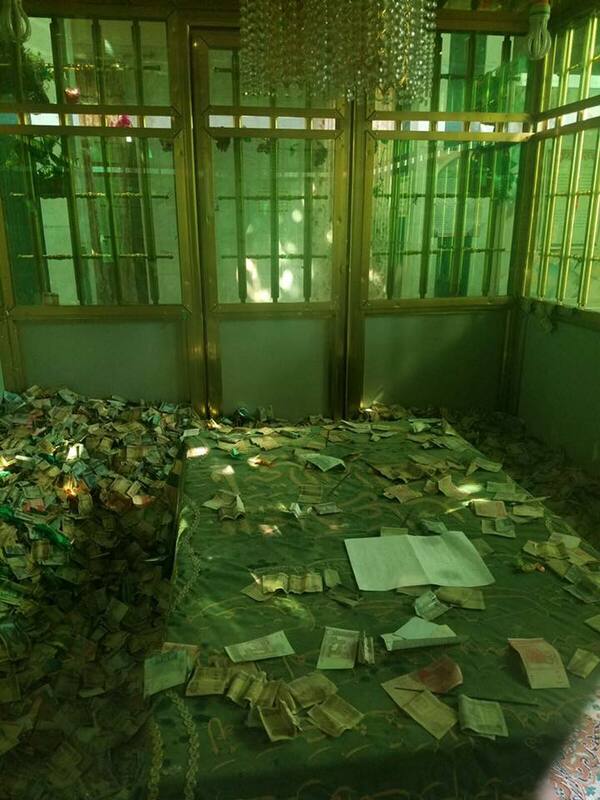 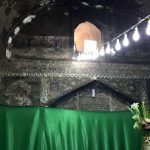 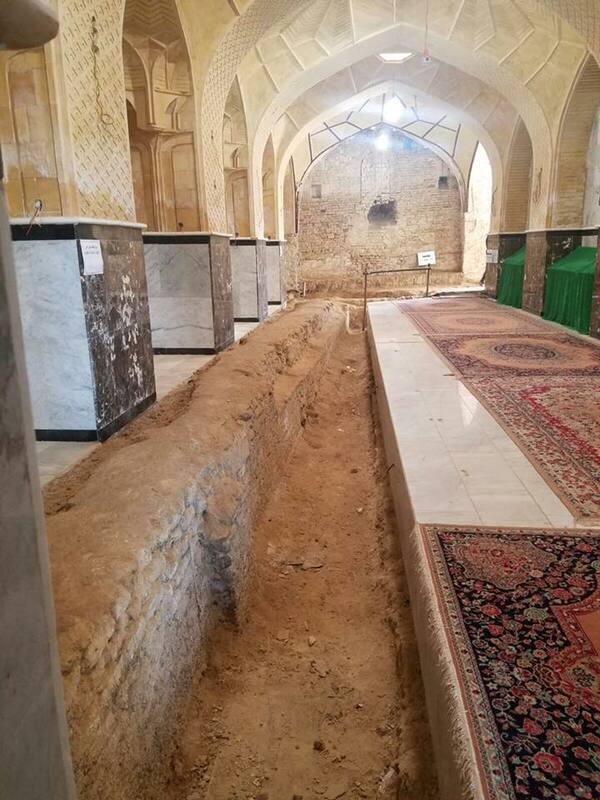 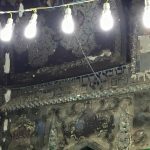 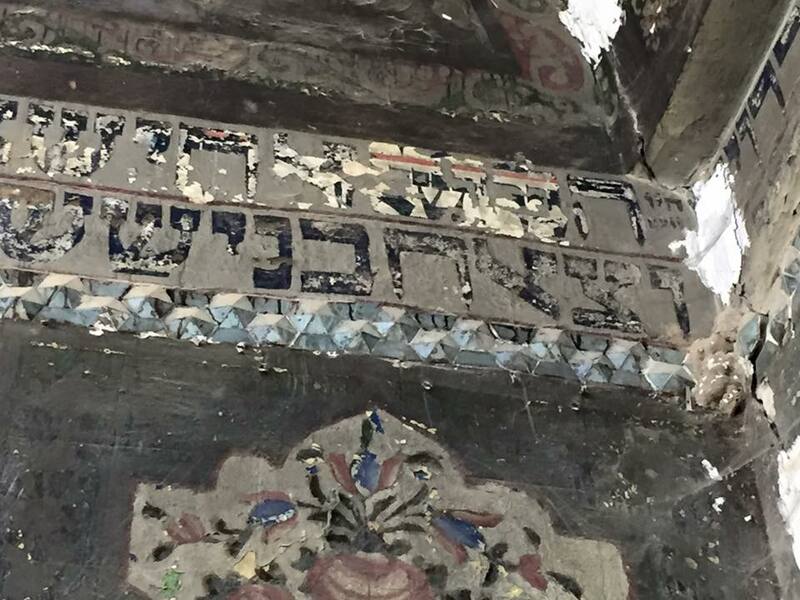 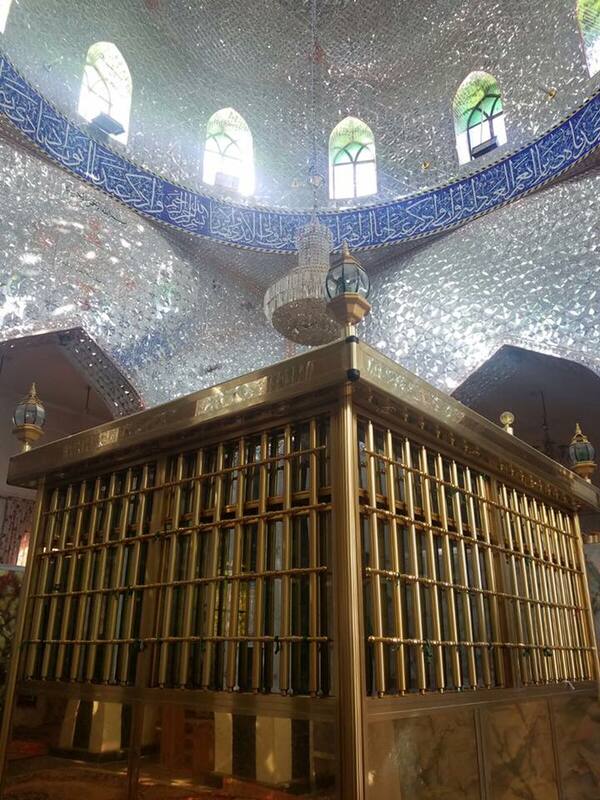 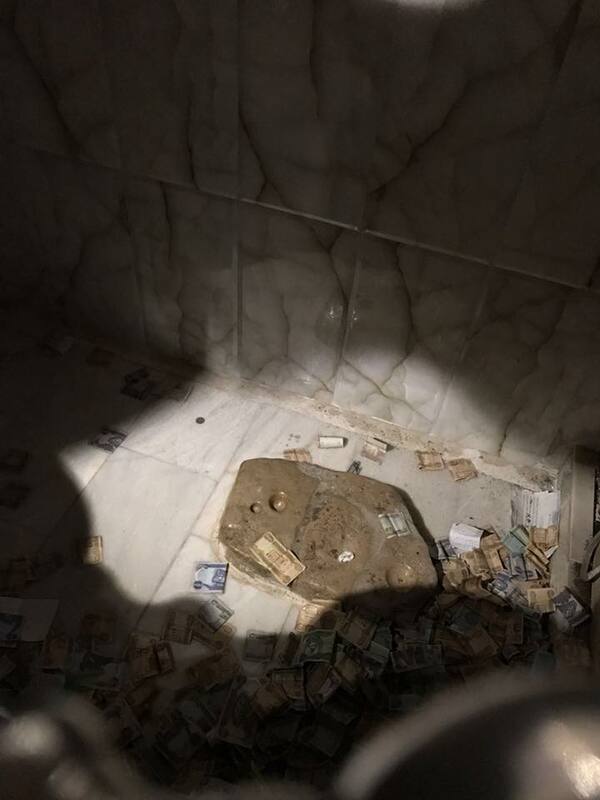 And just recently, members were blessed to have undertaken a pilgrimage to Iran with the Flag, visiting the Holy Cities of Mashhad where our 8th Holy Imam is laid to rest, and Qom where his sister rests. 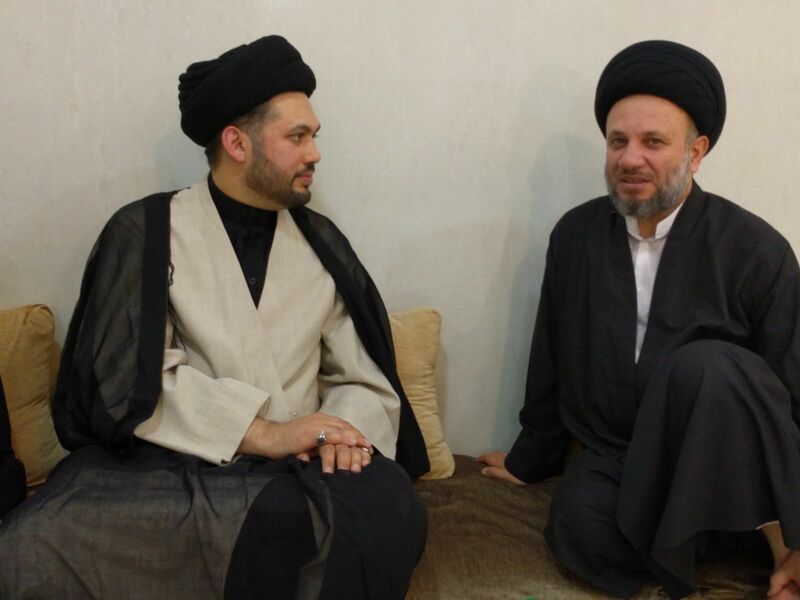 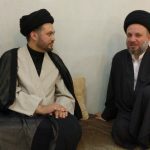 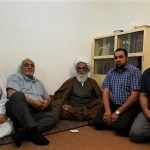 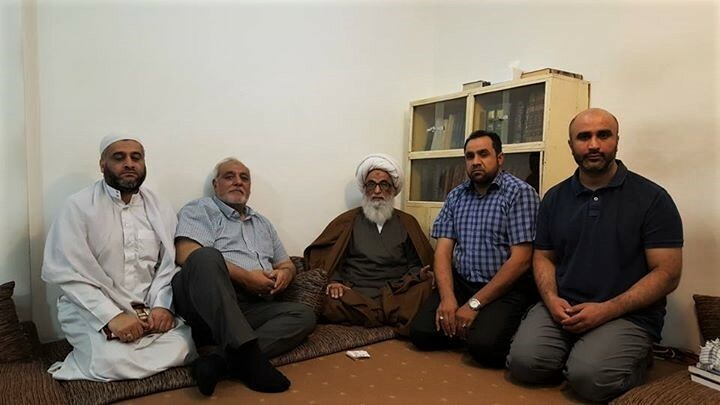 Hujjatul Islam, Syed Saleh Mahdi Baqer al-Hakim and (SABS) Chairman Shabir Beg in Najaf, Iraq.